This course is a unique opportunity to join the energy of the GAVY 200 Teacher Apprenticeship for the morning practice sessions only. 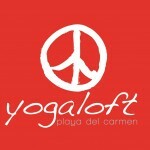 Yogaloft is on Facebook…Click here! Up to 50% off for Playa Local Repeat Students! Located on famous Fifth Avenue, in the heart of Playa del Carmen, “EL TUKAN HOTEL & BEACH CLUB” has totally equipped rooms with safety box, air conditioning and cable TV. 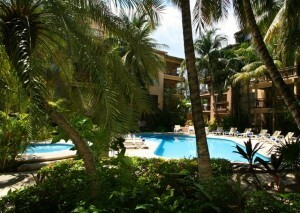 Close to a great variety of shops, restaurants, bars and entertainment. El Tukan offers a dedicated and friendly service of 4 stars with a natural environment of leafy gardens and a “NATURAL CENOTE”, which will make your stay a relaxed and pleasurable experience. It has pool, sunbathing space and Jacuzzi, besides, its private area inside the “Kool Beach Club” with palapas and cots, located just 500m away from the hotel.